US futures are pointing to a lower open today after ending higher on Thursday as trade war concerns resurfaced. President Donald Trump vowed an additional $100 billion import tariffs on Chinese imports. Investors remained cautious ahead of the jobs report and waiting for clues on Federal Reserve interest rate hikes acceleration. The S&P futures slid 0.87% to 2,638.50, Dow futures tumbled 0.95% to 24,235, and Nasdaq fell 1.05% to 6,531.25. Elsewhere, shares at Asian markets closed mostly lower on Friday, and European stocks are trading lower. On the European economic front, data from the Istat showed that Italy’s economic growth will continue at the current pace as the leading indicators declined slightly but remained at high levels. Destatis data revealed that Germany’s industrial production fell 1.6% in the month February after rising 0.1% in January. IHS Markit data showed that Germany’s construction purchasing managers’ index tumbled to 47 in March from 52.7 in February, due to colder-than-usual weather. INE data revealed that Spain’s industrial production grew 3.1% year-on-year in February after rising 0.7% in January. Statistics Denmark data showed that Denmark’s industrial production slid 0.6% from the previous month in February after rising 1.3% in January. The Hungarian Central Statistical Office data revealed that Hungary’s industrial production climbed 4.1% year-on-year in February after increasing 6.7% in January. The customs office data showed that France’s trade deficit narrowed to EUR 5.2 billion from EUR 5.4 billion in January. The Bank of France data revealed that France’s current account deficit remained stable at EUR 2 billion in February from last month. On the Asian economic front, data from the Nikkei showed that private sector purchasing managers’ index in Hong Kong fell to 50.6 in March from 51.7 in February. The Ministry of Internal Affairs and Communications data revealed that average household spending in Japan moved up 0.1% year-on-year in February after increasing 2% in January. The Bank of Japan data showed that Japan’s labor cash earnings grew 1.3% year-on-year in February after rising 1.2% in January. The Cabinet Office data revealed that Japan’s future economic activity rose to 105.6 in February from 105.6 in January, and the current economic activity grew to 115.6 from 114.9 last month. 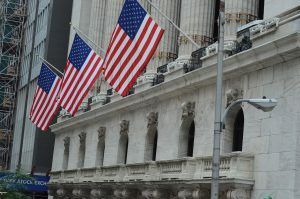 On April 5, US ended higher, with Dow up 0.99% to 24,505.22. 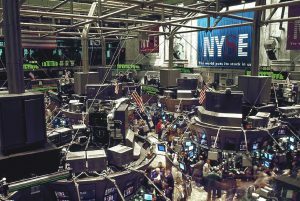 Nasdaq gained 0.49% to 7,076.55, and S&P 500 rose 0.69% to 2,662.84. Traders ignored trade war concerns on hopes of negotiations agreement between U.S. and China. A Commerce Department report showed that trade deficit widened to $57.6 billion in February from $56.7 billion in January. A Labor Department data revealed that initial jobless claims rose by 24,000 to 242,000 from last week’s 218,000. Meanwhile, key economic events scheduled for today include the Labor Department’s employment situation report, Baker Hughes North American rig count, and Federal Reserve Board of Governors consumers’ credit report. Federal Reserve Chairman Jerome Powell, Chicago Federal Reserve Bank President Charles Evans, and San Francisco Federal Reserve Bank President John Williams will be giving speeches today. Greenbrier Companies (GBX) stock increased 3.45% in premarket after better than expected second-quarter results. On the corporate front, PriceSmart (PSMT) stock rose 2.93% in the premarket after better than expected second-quarter results. Greenbrier Companies (GBX) stock increased 3.45% in premarket after better than expected second-quarter results. Ethan Allen Interiors (ETH) stock declined 3.02% in premarket after weak third-quarter sales outlook. WD-40 (WDFC) stock slid 2.25% in the premarket after second-quarter sales missed consensus. Longfin (LFIN) stock jumped 20.17% in the premarket after it is involved in blockchain technology and its chief Venkat Meenavalli was on CNBC’s Fast Money. Crude oil futures are down 0.88% to $62.98. Gold is trading down 0.15% to $1,326.50, and silver is down 0.55% to $16.26. On the currency front, the US dollar is trading down 0.07% at 107.342 yen. Against the euro, the dollar is up 0.01% to $1.224. Against the pound, the dollar is up 0.04% to $1.4006.